Islamic terrorism lost twice these days. Last Saturday a US drone strike, that targeted a terrorist training camp in Somalia, killed more than 150 al-Shabaab fighters, according to the Pentagon. 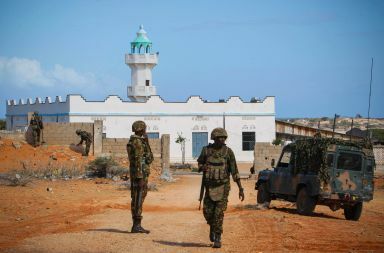 The facility, where fighters of the radical Islamist militia received training and instructions was located in Raso, about 120 miles from the Somali capital of Mogadishu and routinely housed as many as 200 fighters and recruits at a time. Al-Shabaab controls parts of southern Somalia, where it has installed a brutal regime under sharia law. The group is often called the Somali arm of Al Qaeda, and is indeed affiliated with the group since after Osama Bin Laden’s death. Bin Laden himself had always rejected Al-Shabaab for its indiscriminate killing of fellow Muslims. The group is influenced by the Wahabism flowing out of Saudi Arabia. According to Pentagon spokesman Capt. Jeff Davis, intelligence pointed to a large scale attack being plotted at the site. The intended targets of said attack were the the US and its allies. He said that there were “no indications” of civilian casualties. The camp was destroyed. 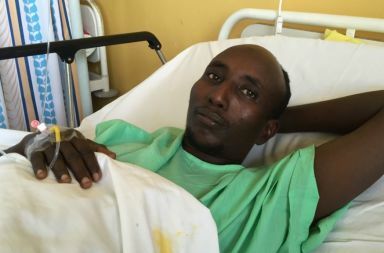 The final decision to hit the camp was made after it became clear that the fighters in the camp posed a direct threat to the small contingent of US forces deployed to Somalia to support African Union troops. At the moment of the strike the camp’s fighters were lined up in a ritual of sorts at the camp’s training grounds. Islamist fighters are known to hold such rituals right before starting an attack. This presented a perfect opportunity for a drone strike with little risk to inflict collateral damage. It appears the attack was mainly conducted by a MQ-9 Reaper drone, but it is likely that other fighter planes, including manned ones, were part of the strike as well. So far it is not clear whether any major leadership figures were taken out. 2. IS- Data-Gate in Germany. Simultaneously a second event shook the murderous Islamic State in a completely different sphere, as German media reported the uncovering of a large data leak that has exposed a long list of ISIS recruits and crucial information regarding their true identities, skill sets, as well as the names of facilitators that handle the Islamist’s recruitment effort. The information includes questionnaires that were handed to new ISIS recruits upon their arrival at ISIS training facilities. These sheets contain information regarding special skills of individual terrorists, such as chemical training that could be used to fabricate explosives. The German authorities estimate that about 260 ISIS fighters have returned to Germany. Some of them will now be investigated based on the leaked documents. The leak is of even bigger significance, as thousand such questionnaires have been obtained, giving counter terrorism agencies a fresh perspective into the terror state’s internal structure and strategy. Up until know it was often difficult to prove an ISSI connection when Islamists return from Syria. Now authorities hold substantial evidence in many cases of direct involvement with the group. 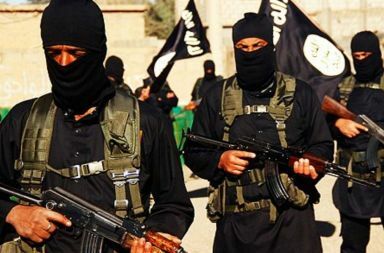 German authorities estimate that some 800 people left Germany to fight for ISIS. Of those about 130 are confirmed as killed in fighting. About 260 are reported to have returned to Germany, including about 70 fighters with combat experience. It’s days like this that will, very gradually, force radical Islamist terrorism to its knees. It is only a matter of time.